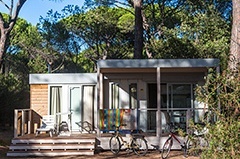 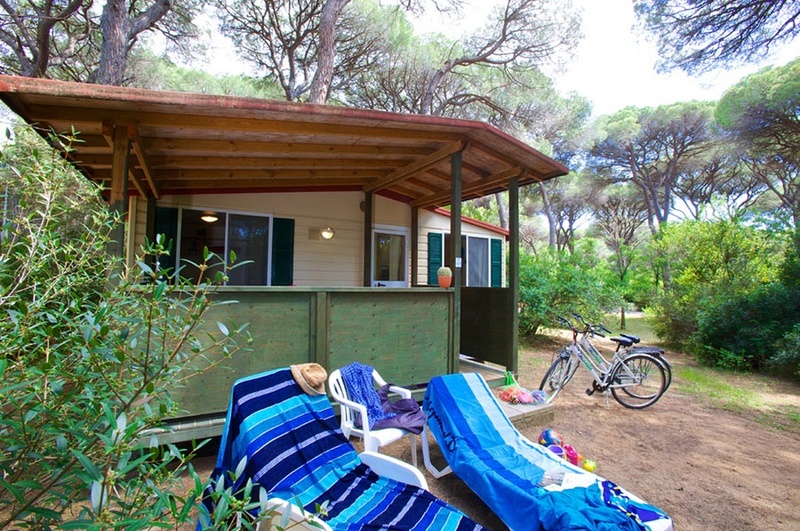 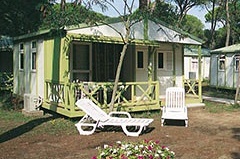 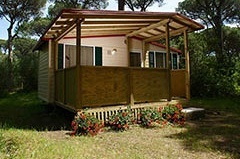 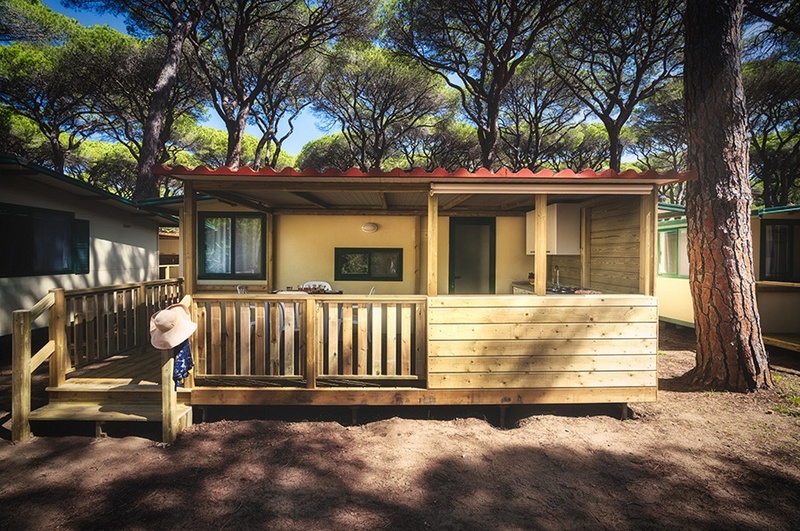 Cieloverde Caravans are surrounded by typical Tuscan Maremma vegetation. 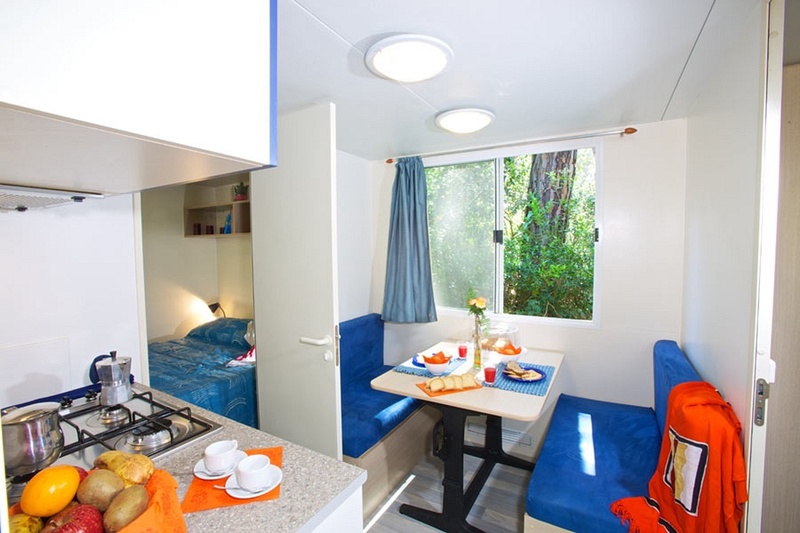 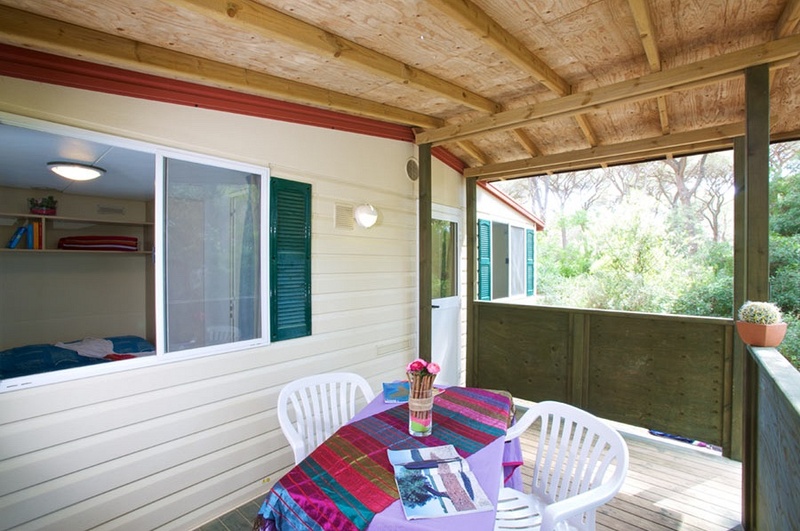 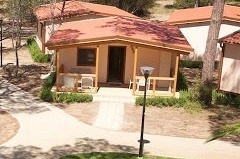 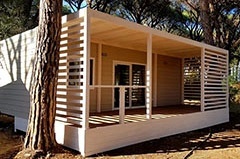 They're bright, practical and comfortable ( 22sqm + veranda) and can sleep up to 4+1 persons. 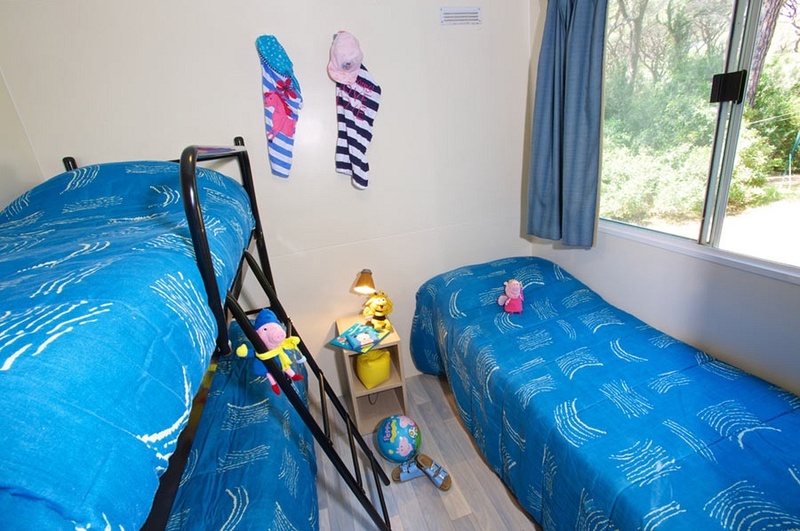 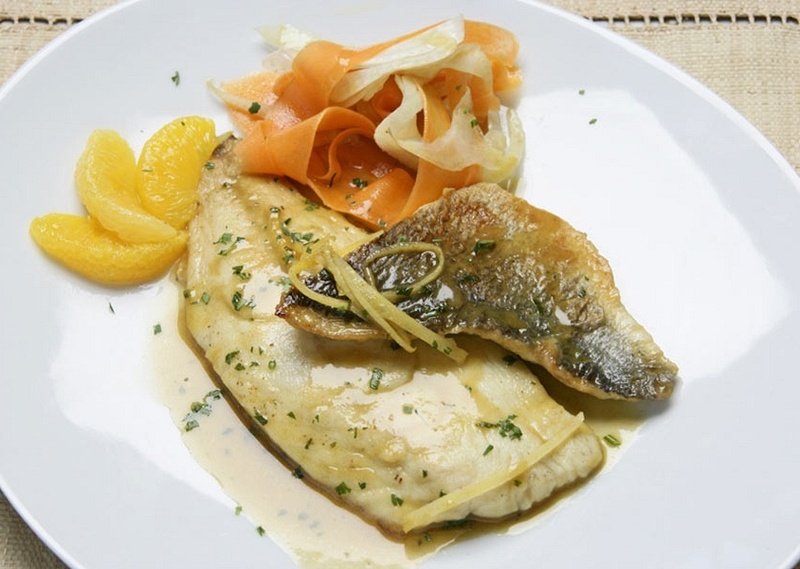 They are composed by 1 double bedroom with safe deposit- box, 1 bedroom with three single beds, kitchen fitted with cook top, fridge with ice-compartment and complete with kitchenware, cutlery and a wooden terrace furnished with table and chairs. 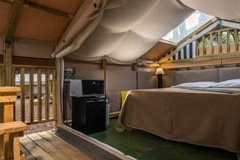 Mosquito nets. 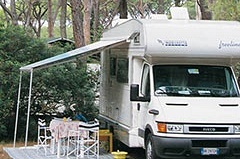 We also supply you with 1 sun bed, clothesline, blankets and pillows. 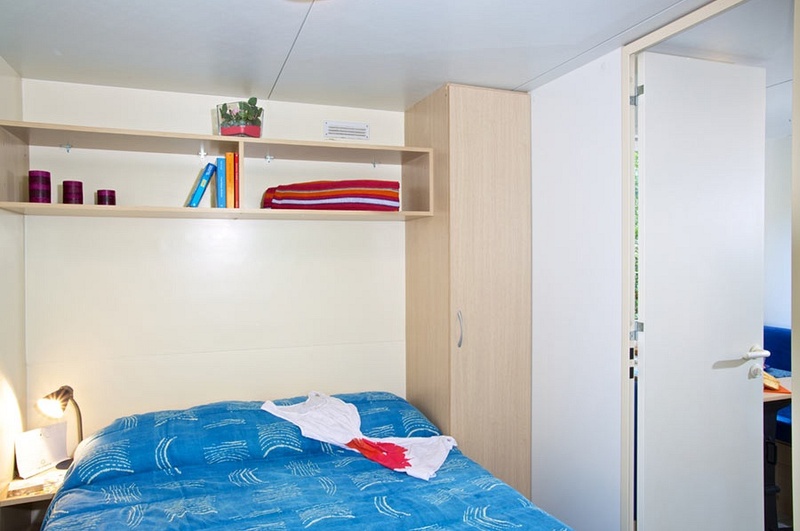 Bed linen, towels and kitchen linen are not included. 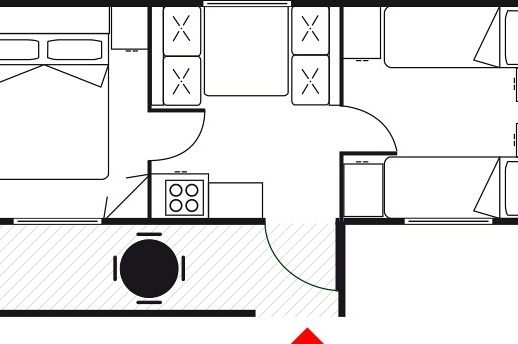 There is no water connection. 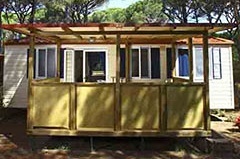 Cieloverde Caravans can be hired from Sunday to Sunday.